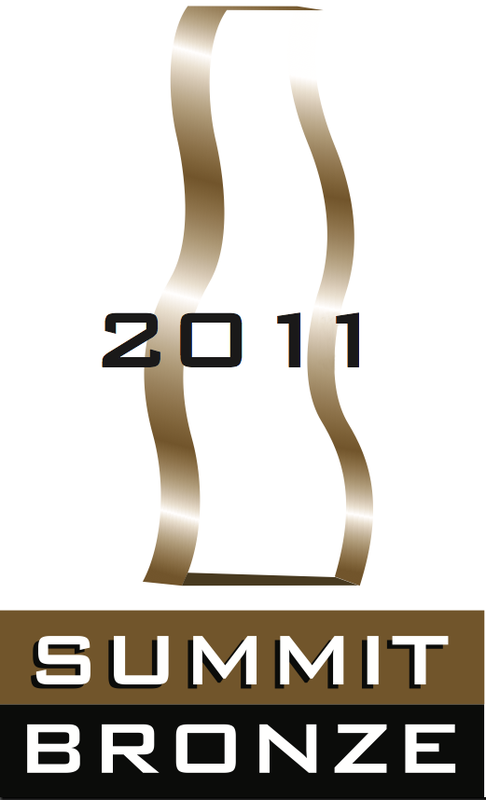 May 13, 2011 – For Immediate Release – Ottawa Marketing Company Marketing Breakthroughs is delighted to announce that we have won Bronze at the Summit International Awards (SIA) in the category of Self-Promotion Stationary/Identity. The SIA has established itself as one of the premier arbiters of creative excellence over the past 17 years.Our submission was one of the best among thousands from 22 countries around the globe and impressed a distinguished panel of international judges. Long-time clients of Ottawa’s Marketing Breakthroughs will know that, like our Ottawa Marketing Company, our brand has evolved.The early colour scheme of fluorescent purple and green was completely changed to our circular MB and most recently to our power 2011 brand redesigned by our senior designer, Kaspar Tingley.It is this 2011 edition of our brand that won Bronze at the SIA. When Steve Klein founded Marketing Breakthroughs in 1995, he had dreams of growth and evolution both with our brand and our company.As you can see, the early branding for Marketing Breakthroughs differs greatly from the design that won Bronze at the SIA. After many years, we revised our branding to incorporate our nick-name, “MB”.The circular MB graphic you see here was the next step in our evolution. As 2011 approached, we continued to grow and expand, occupying two suites at 1150 Morrison Drive.This rapid growth gave way for a refreshed graphic element and to the current MB branding. In design, prestige, client base, staff, and services offered, Marketing Breakthroughs continues to grow and evolve.As we prepare to celebrate our “Sweet 16” this August, we will raise our glasses and toast the next 16 years of the growth and evolution of both Marketing Breakthroughs and our clients. 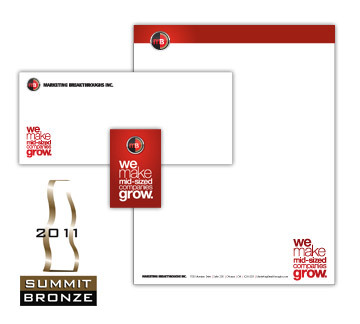 To have your brand refreshed by our award winning Ottawa graphic design studio, be sure to contact us today.